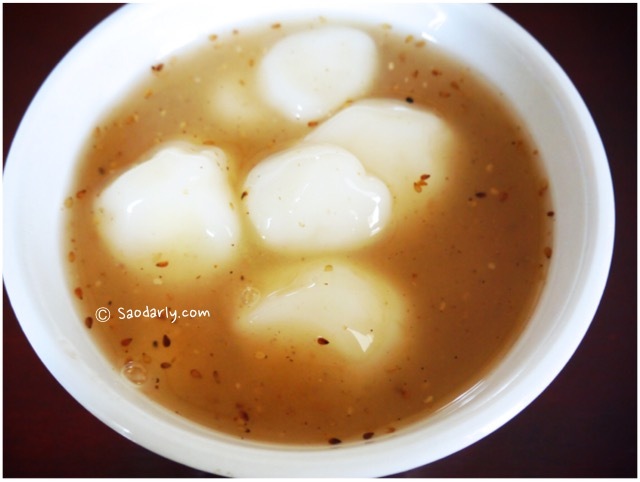 Nam Varn Bua Loy ນ້ຳຫວານບົວລອຍ (sticky rice balls in coconut milk) for dessert in Vientiane, Laos. 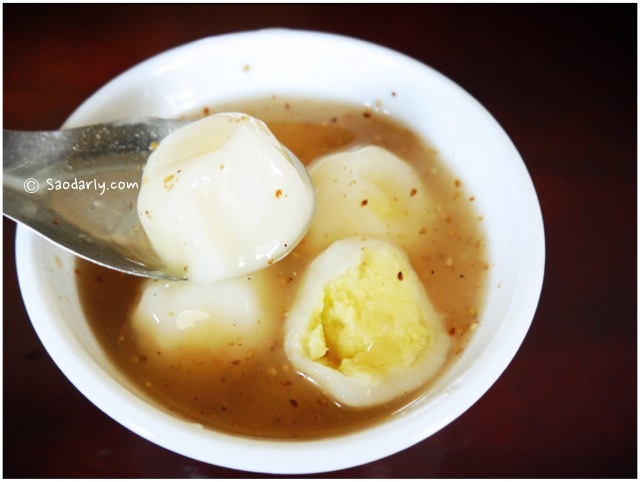 The rice ball is stuff with mung bean. 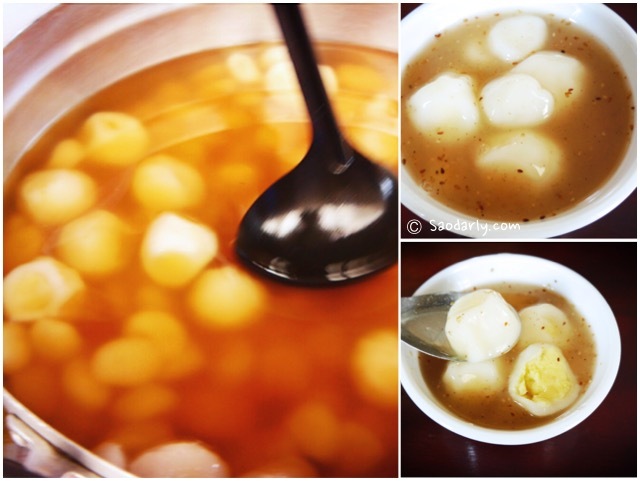 It’s a delicious dessert with palm sugar and ginger syrup. With coconut milk added for the creamy and nutty flavor, it’s hard to have just one bowl. I walked to Talat Kua Din (Kua Din) Market, which is opposite of Talat Sao Mall (Morning Market) in Vientiane, Laos and bought 8 plastic bags of various Nam Varn (dessert). I then walked to my aunt’s house to share the sweet dessert with the relatives. It was a good exercise and a great way to burn off those calories!